Marijuana candy: trick or treat? Just when we thought the war on drugs couldn’t get any more complex, naloxone came to the forefront. At first, police officers distributed the powerful drug, which acts as an antidote to opioid overdoses. Now, even pharmacists are giving it directly to patients without first getting permission from a physician. The drug has become an extreme but increasingly accepted response to the urgent problem of heroin and opioid abuse. Some social conservatives have objected to distributing naloxone because they don’t think it will bring an end to the drug epidemic. Preventing death by overdose could be an incentive for people to continue doing what they are doing, the thinking goes. Regardless, resistance seems to be crumbling. 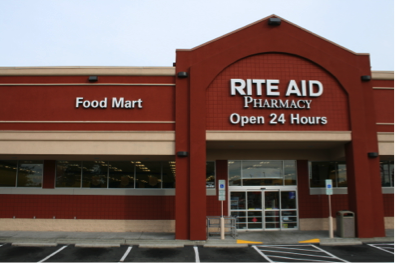 The latest sign is in Ohio, where the state board of pharmacy recently announced that major chain stores Giant Eagle and Rite Aid would sell naloxone without a prescription. Sixty-five percent of the state’s retail pharmacies now offer the drug prescription-free. The reason for the rush to naloxone is clear: it works, and we need it. More than two million people in the United States were addicted to prescription opioids in 2012, and an estimated 467,000 people were addicted to heroin. The consequences can be fatal. In 2014, more than 28,000 Americans died from opioid overdoses. Naloxone reverses the brain-damaging and fatal effects of such an overdose, moving to the opioid receptors in the brain and pushing the opioids off. And it works fast, within just five minutes. For years, access to naloxone was limited to only medical professionals and law enforcement. Emergency responders — usually police or paramedics — most often administer naloxone, but 46 states (Ohio among them) have passed laws in recent years making naloxone easier for laypeople to access. Thirty-three states now provide criminal immunity for pharmacists and others who give out naloxone to laypersons. Soon, advocates hope naloxone will be available in primary care clinics. The latest development in Ohio is a step in that direction.